Character designer and animation director Nobuteru Yuuki is one of hottest names in the anime industry today. The self-taught artist started out as an employee of Artland, Studio Min, and DAST, working as an animator on various titles such as Megazone 23. Yuuki is perhaps best known for his design work on the Record of Lodoss War OAV and Escaflowne television series and movie. However, he has many other fan favorites to his credit, such as the X movie and accompanying X2 music video, Gunnm (Battle Angel), and Five Star Stories. He has also used his magic touch on designs for Battle Royal High School, Angel Cop, and Weathering Continent. Yuuki's latest anime designs can be seen in Heat Guy J and Captain Herlock: The Endless Odyssey, both currently in the process of being released in North America. He also recently contributed to an animated opening video for Ragnarok Online. 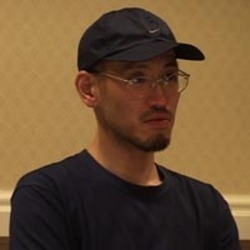 In addition to his work in the field of anime, Yuuki has designed characters for numerous games, including Dragon Force II, Legend of Mana, Seiken Densetsu 3, and Chrono Cross. He has also produced several volumes of an original manga called Vaelber Saga.